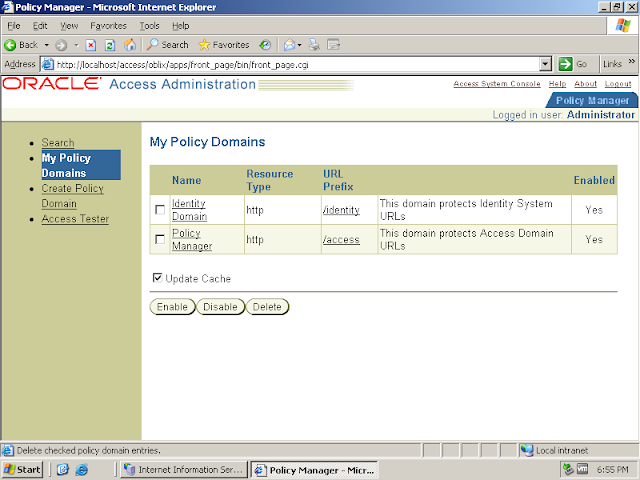 IMPORTANT Note: If you get error cannot found the search base make policy base as empty and click next and again click back and provide policy base. 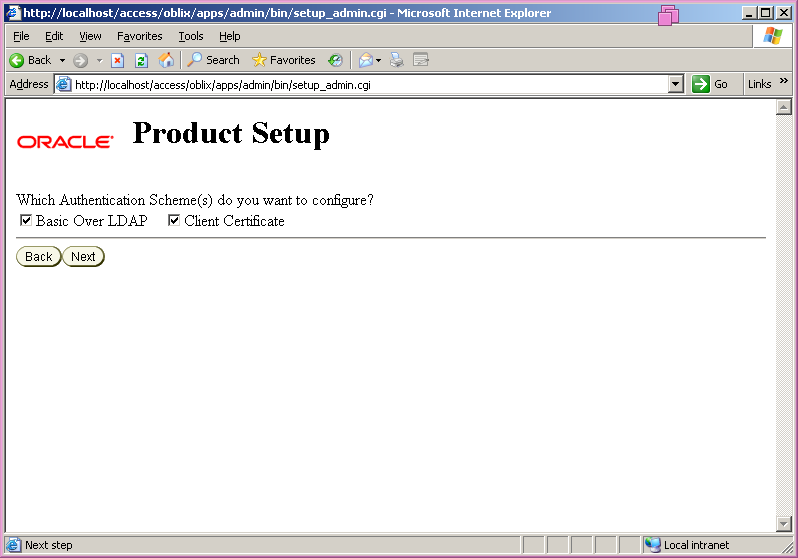 This Error occurs with AD only. 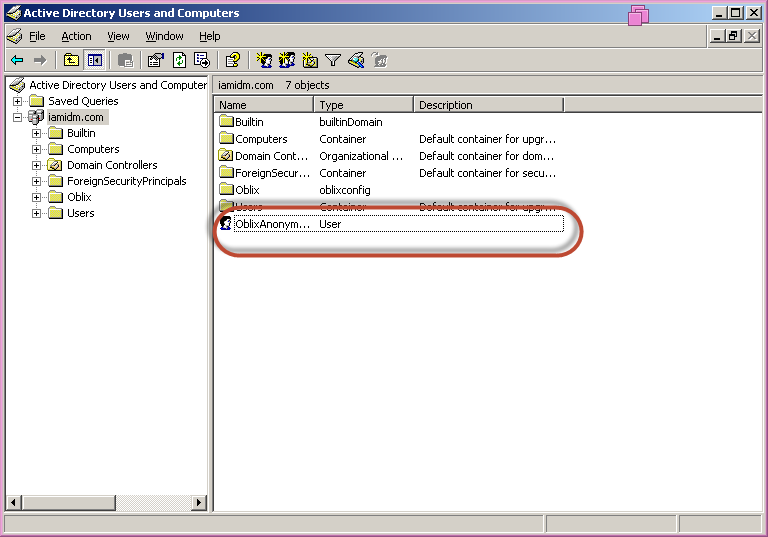 If you get error at this place then you must have selected dynamic Auxiliary Object Classes. 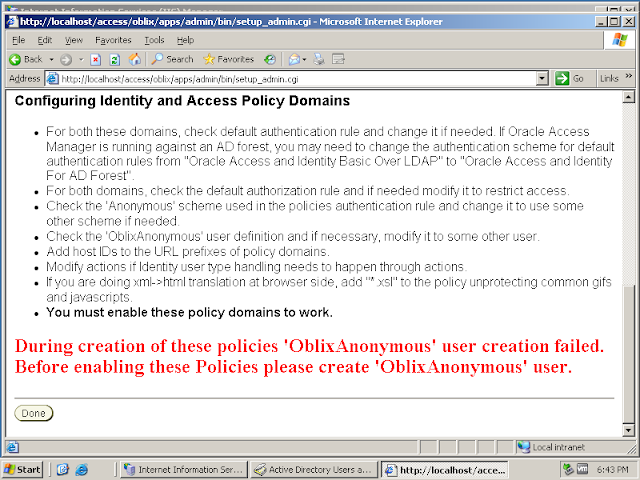 If you have done that you need to reinstall OAM. 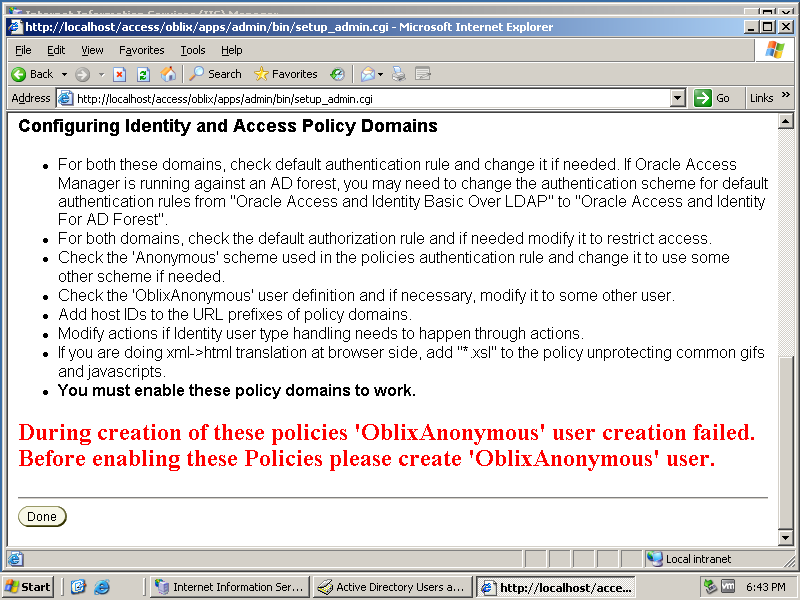 Login to Ad and Enable OblixAnonymous user. 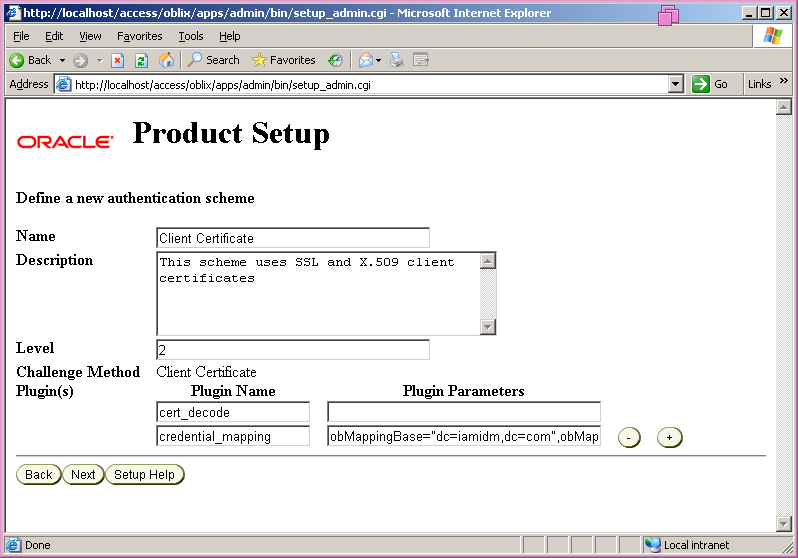 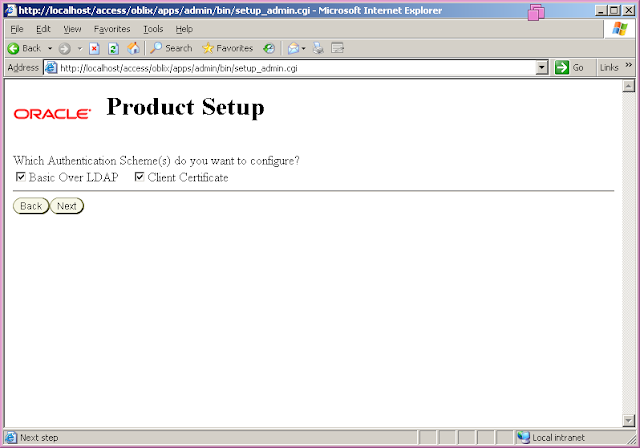 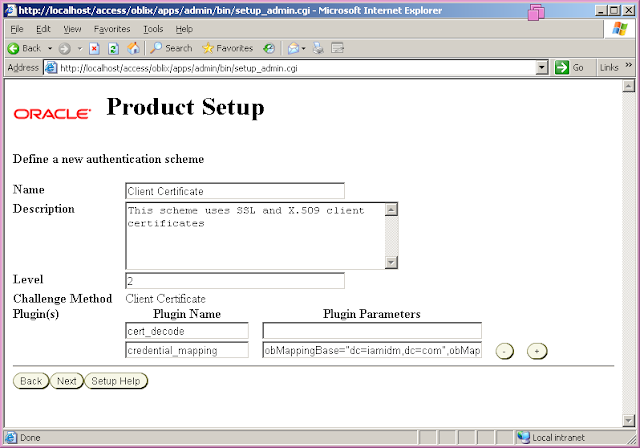 Restart IIS and OAM Server. 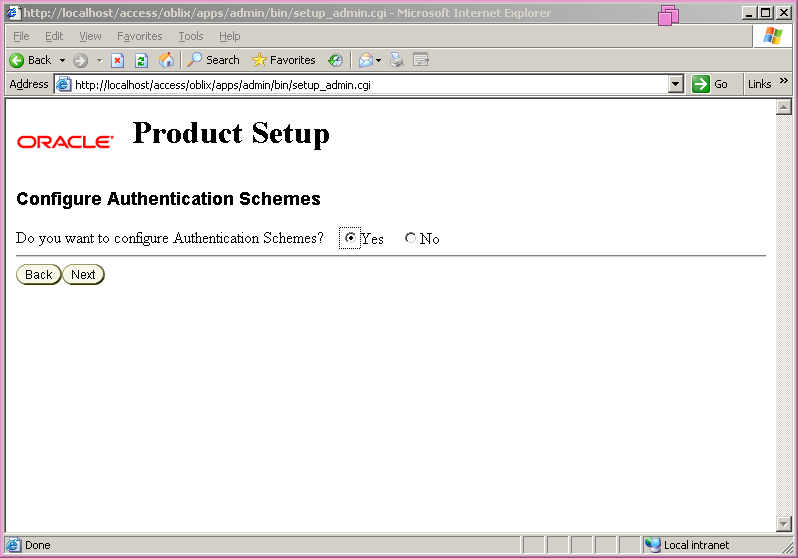 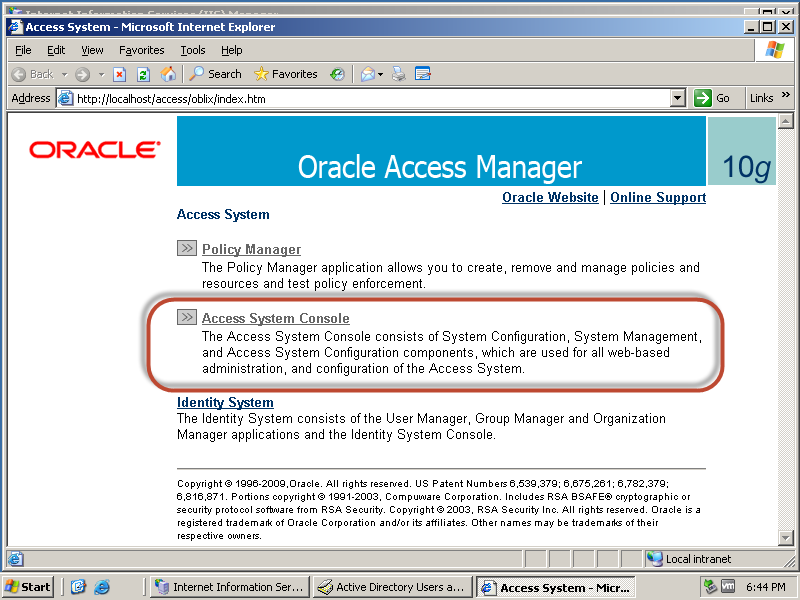 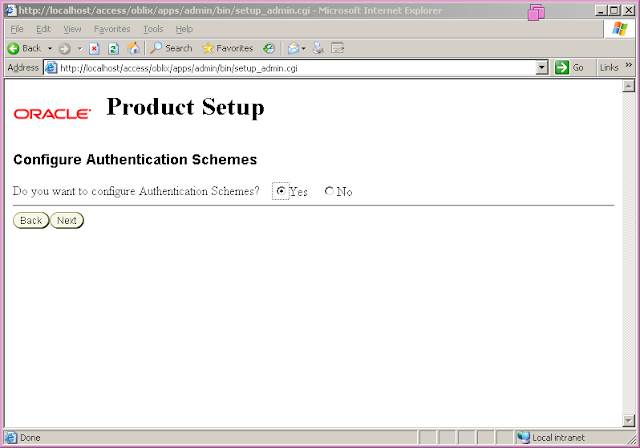 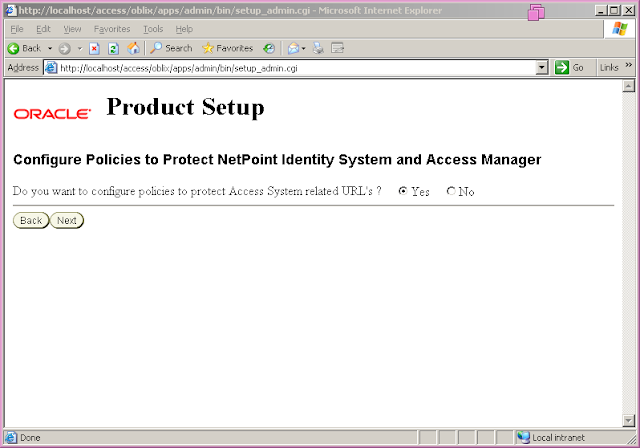 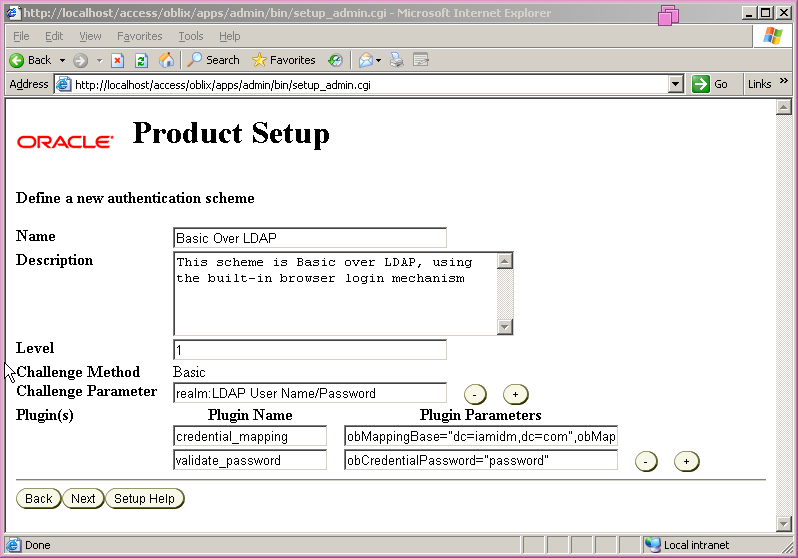 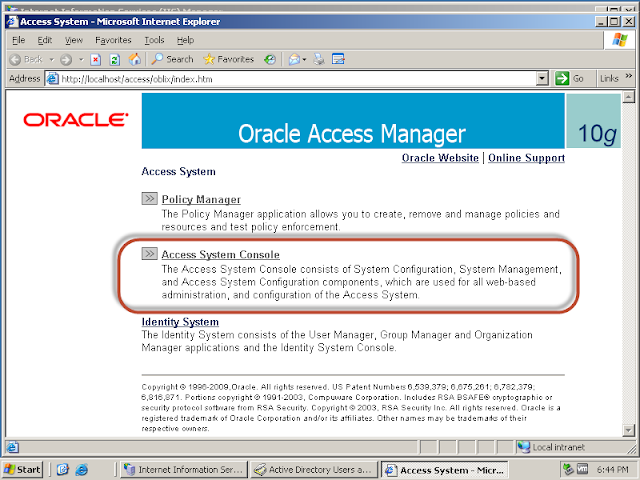 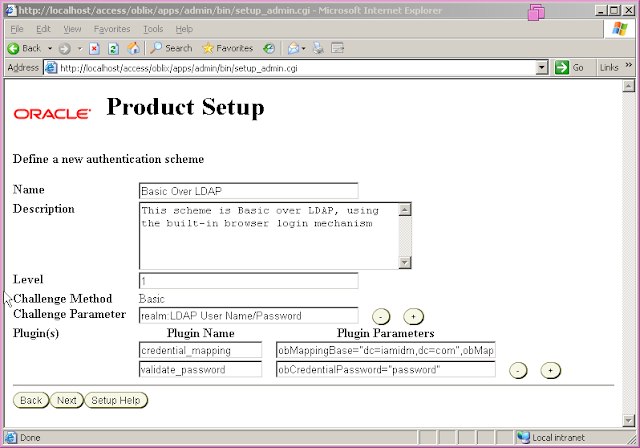 Login to Access System Console using Administrator.